In 1926, Sheriff R.E. Newman resigned and was replaced by H.A. Shriver. Also in 1926 Tryon received its first electricity when S.W. Warren installed a 110-volt Coler light plant in the Warren Garage. F.S. 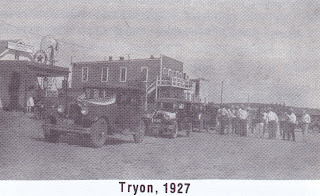 Snyder took over the editing of the Tryon Graphic from his brother, J. Warren Snyder, in June of 1926. 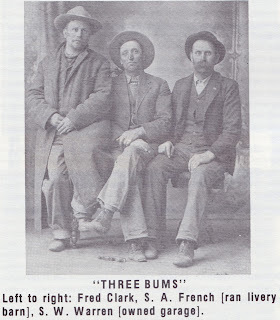 These brothers took turns editing the paper until 1928 when F.S. Snyder took the job permanently. The Herriman brothers operated the Busy Bee Café from November of 1926 until the early thirties. A fire caused the Tryon Graphic to be moved to the I.O.O.F. building in 1926 and in April of 1927 the damaged equipment was replaced by a new linotype which is still in use today. Charley Moore, a Civil War veteran, died in January of 1928. This left the county with only one Civil War veteran, Mr. McFarland, who died November 18, 1931. 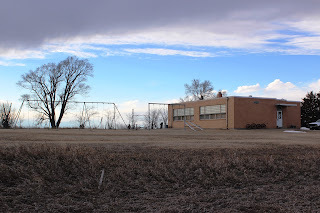 McPherson County’s first rural track meet was held on May 5, 1928. Coach W.L. Nichols organized it and it met with great success. District No. 4 won and received a silver trophy. District No. 16 received second place, Bill Hall won in the individual scoring, and Freda Wayman was the highest girl scorer. Chautauqua’s were held during the twenties each year in Tryon. They consisted of several days in which people from a large area came to Tryon and observed singers, lecturers, and exhibits. The late twenties brought revival meetings to the county. They were held in a large tent and lasted for a week at a time. They had a large following for about four years, but by the early thirties had been discontinued. R.J. Barta opened Barta’s Cream Station in 1926 and in 1928 added a filling station to this business. The Prohibition Act which was in effect from 1919 to 1933 caused the making of many stills in this county. All through this period Sheriff Newman and later Sheriff Shriver were kept busy in confiscating alcoholic beverages and destroying stills. 1929 and 1930 saw much activity in the county’s businesses. The Tryon Garage, owned by S.W. Warren, was sold to Ray Ready and Paul Bender and called the Bender-Ready Motor Company. The garage was bought by S.W. 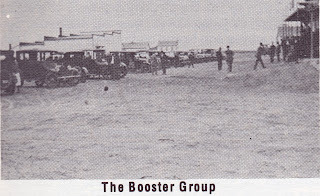 Warren in 1930 after Bender and Ready had run the company for about a year. The Herriman brothers opened a filling station in the spring of 1929 and sold their Busy Bee Café in the fall of that year to A.L. Fuller, one-time owner of Fuller’s Cash Store in Tryon. The Flats Supply Company was bought by Mike David early in 1929. The Flats Supply Company had been organized in 1918 when Paul Reichenberg sold the Flats Store which he had established at approximately 1914. The Ringgold Store, owned by F.A. Bender, was bought by Bill Otten. Mr. Beach had owned the store before Mr. Bender acquired it. The local telephone company, which had been run by F. Allen, was sold to the Western Telephone Corporation in 1930 and F. Allen became the local manager. Sheriff H.A. Shriver resigned as sheriff in August of 1929 and was replaced by D.V. Platt. 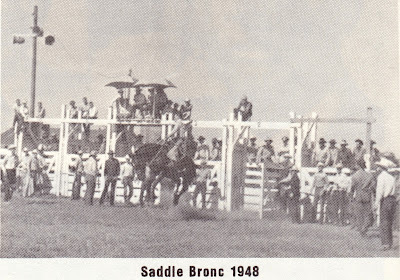 A fair and rodeo combination was held in the fall of 1929 and 1930 at Tryon.